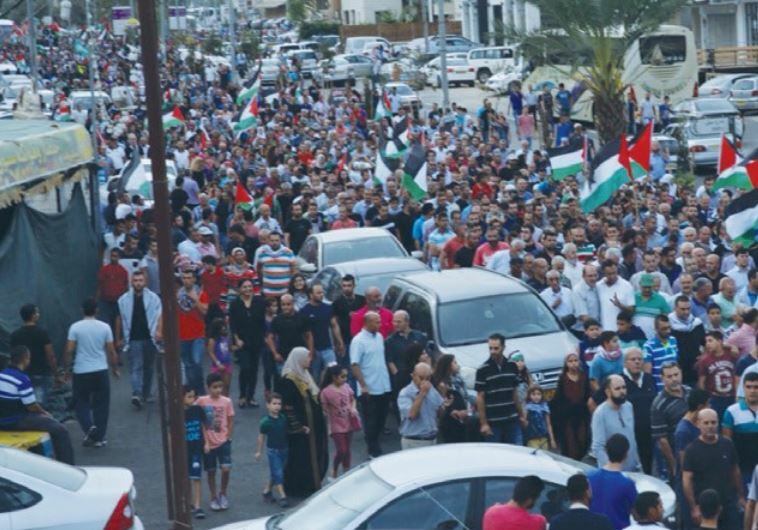 Jewish Israelis are deeply divided societally, religiously and politically, and are to a large extent tightly stratified within their particular societal sector a new report by the Pew Research Center has shown. The survey showed that there is very little inter-marriage between haredi, religious-Zionist, traditional and secular Jews, and little societal interaction between the different sectors as well. The deep division in Israeli society was highlighted by findings that show that Israeli Jews in general are about as uncomfortable for their children to marry a Muslim as secular Jews are for their child to marry a haredi person and vice versa. I came across this news article in my Facebook feed, and it reminded me of my recent blog post Attached and Yet Unattached which mentions a group of Messianic Jews in Israel who desire to become an integral part of normative (Orthodox) Jewish synagogue life. The article and Pew poll highlights just how isolated the different parts of Jewish society in Israel are. Secular Israelis comprise the largest sector, totalling 40% of Israel’s total, population, traditional Israelis are 23%, religious-Zionists 10%, and haredim were 8%, while 14% of the population is Muslim, 2% Christian, and 2% Druze. In total, the Israeli population is 81% Jewish, 19% non-Jewish. According to the study, 95% of Haredi Jews and 93% of secular Jews have a spouse from the same subgroup, while 85% of religious-Zionist Jews have religious-Zionist spouse. Traditional Israelis were the only sector to have a somewhat higher rate of intermarriage with other Jewish groups, with approximately 33% of traditional Israelis marrying a religious-Zionist or secular Jew, and 64% of this group marrying within their sector. In other words, Jews tend to stay socially within their own particular population and rarely have friends or marry outside their groups. Messianic Judaism isn’t mentioned as a Jewish population group in the article, but I did wonder about that 2% Christian group. Of course, there are normative, non-Jewish Christians in Israel, but, from any other Jewish groups’ perspective, would Jews who are known to be “Messianic” be considered Christian? My guess is “yes,” and if so, I’m sure that causes dismay among those Messianic Jews to no end. Which brings us back to the idea of Messianic Jews integrating into Orthodox synagogues and communities as an effort to become living examples to wider Jewish community in Israel (and any place else) that they are us, not them. But the Jerusalem Post article, if it is at all accurate in representing Israeli Jewish society as it truly is, indicates that this is easier said than done. Of course, even though these sub-groups of Jewish Israel differ widely from one another and barely associate with one another, on some level, they consider each other Jewish…I think. It’s difficult for me to tell as an outsider not only to Judaism but to life in Israel. But I do know that Israel’s Chief Rabbis and the Rabbi of the Kotel oppose any government decision to formally recognize Reform Judaism, so it’s possible that Orthodox Jews in the Land (and elsewhere) may not consider Reform Jews as Jews, or at least consider them on the same plane as secular Jews. I wonder how (or if) that’s going to work. On the one hand, if these Messianic Jews are “undercover” and do not reveal their devotion to Rav Yeshua (Jesus Christ) and their revelation of him as Messiah, and assuming they are observant to the same degree and manner as the communities they join, then they will likely succeed in becoming part of larger religious Judaism. On the other hand, they will not have a regular relationship with a community that recognizes our Rav and acknowledges the revelation of Yeshua returning as King Messiah to fulfill all of Hashem’s promises to Israel. When I made the decision (which I’ve done a few times over the past several years) to live without community, I received many kind emails and other communications telling me that it was a risky business standing apart from a Yeshua-believing congregation. I know after leaving Hebrew Roots some years ago, my “plan A” was to attend Chabad services and/or classes with my Jewish wife. However, she wasn’t anxious to include her Christian husband in her Jewish religious and social life, and ultimately, that plan went down in flames. 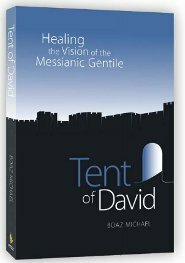 My “plan B,” after much consideration, was to do a sort of Tent of David integration into a small, local Baptist church, even after being warned by a good friend of mine that the effort was doomed to failure as well. I stayed with the church for two years until the Pastor, frustrated with me “digging in my heels” as he put it, and remaining steadfastly devoted to my perspectives on the Bible, Israel, Messiah, and Hashem as a Messianic Gentile, gave a sermon on misuse of Torah, which included the belief that the Sinai covenant was still fully enforced upon the Jewish people. That felt like a very personal and public rebuke. I blogged my disagreement, which came with consequences, and ultimately decided it was in Pastor’s, the church’s, and my best interest for me to apologize and then exit Christian community entirely. But Christian community isn’t Jewish community. Jews belong with other Jews. I don’t know how Messianic Jews are going to fully meld into Orthodox Jewish community in Israel, but I guess they’ll find out. It just seems that if the boundaries between the different sub-groups of Israeli Jews are so rigid, that penetration of said-boundaries is going to be rather difficult. In theory, I could walk into any church in my community and be immediately welcomed. As long as I kept my big mouth shut or only mouthed the “party line” supported by that particular church as “sound doctrine,” I’d be OK.
Of course, the obvious barriers, besides me keeping my flap shut and not blogging on each and every church experience that rubbed me the wrong way, are not being able to invite people from church over to my house because it would make my wife uncomfortable, attending church at all because (she would never stop me or breathe a word of dissent about me attending) the very act of my going to a church would emphasize that she’s “sleeping with the enemy,” so to speak, and my attending Christmas and especially Easter services, would totally devastate her. But outside of my home life and my highly specific theology, there are (or should be) no barriers to me attending church and being accepted, at least in my own little corner of Idaho. 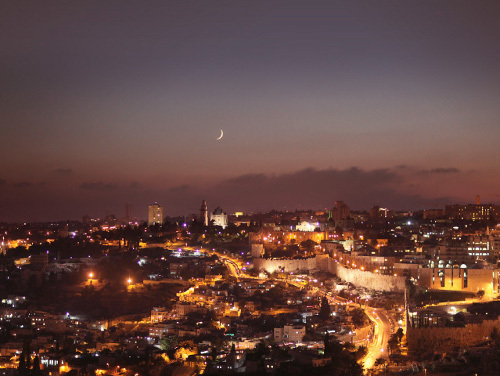 For Messianic Jews in Israel, it seems as if they have an especially tough row to hoe, so to speak, again, at least according to the Jerusalem Post news story. I’ve written plenty about the struggle for we “Messianic Gentiles” in establishing our own roles and responsibilities relative to Messianic Judaism as well as to each other, but we need to be mindful that Messianic Jews also face a very similar challenge in relation to larger Judaism, especially in Israel, but also everywhere else. Why should devotion to Israel and to Rav Yeshua be mutually exclusive for a Jew? It shouldn’t be, except that nearly twenty centuries of enmity between Christianity and Judaism has made it so. One advantage for Jews in Israel is that they need not be totally dependent on a single synagogue that they may choose to attend regularly. There are many venues in which they can interact with other Israeli Jews, celebrating holidays in public space, meeting friends in their homes, and more. MJs, in particular, can meet with other MJs in an informal havurah setting in various private homes, for study sessions, discussions, holiday celebrations, et al, in addition to the occasions on which they do some of the same activities in one or another synagogue setting, or at the Kotel in Jerusalem. In many ways, it is not unlike the first century setting in which Rav Yeshua’s disciples met in homes, in the Temple courts, or in synagogues. 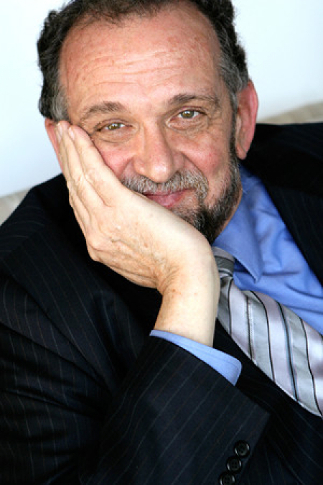 Consequently, even if some of these venues require discretion about one’s particular views on subjects touching our favorite rabbi, there need be no lack of communal interaction with fellow MJs, and even with some Jews who merely share some similar views or tolerate some of the unusual aspects of MJ outlook even if they are not yet convinced to consider themselves disciples. The folks who are more likely to be isolated are those who view their fellow traditional Jews, or Judaism itself, antagonistically due to their contamination by some traditional Christian doctrines that are rooted in such antagonism and delegitimization of traditional Judaism. Moreover, particularly within a Jewish framework, most of Judaism is designed to function in the home — hence, house by house fellowship is very effective. MJ should not exclude Gentiles but sadly, it is full of Gentiles who think they “get it” but actually just make it all about them and trying to assume a Jewish persona and this is hardly a better environment for Jews than the replacement theology in Church. @PL: I was hoping you’d come along and correct any of my misconceptions. I agree that Messianic Jewish doctrines and praxis needs to be more aligned with normative Jewish praxis, so no argument there. I was actually a little worried about publishing this one, even though no names were named (and truth be told, I don’t know any names), since a certain amount of “covertness” is required in this endeavor. On the other hand, the chances of any religious Jews in Israel coming across and actually reading my blog are slim to none. @Sojourning: Long time, no hear from. Great to see you commenting again. I hope you don’t think I’m suggesting that Messianic Jews should be in a church. Quite the opposite. I was merely exploring the potential barriers to Messianic Jews integrating with larger normative religious Judaism in Israel given the Jerusalem Post article from which I quoted. Thanks for posting the link to Russ Resnik’s blog post. A really good article. As far as Gentiles in Messianic Jewish communities, I also recently wrote on this topic, although from a different perspective. I think it’s all too common for Messianic Jewish congregations, at least in the U.S., to be “Gentile-heavy,” so to speak. I’ve been a supporter of Messianic Jewish synagogues for Jews for quite some time, although I understand this is also difficult to accomplish since you’d have to locate a critical number of Messianic Jews in a single geographic community. I did say in yesterday’s blog post that in some ways, it would be easier for an intermarried like me to be accepted by this sort of synagogue than in a Messianic Jewish group desiring to integrate with the larger, normative Jewish community. If the “Messianic Jews for Judaism” initiative moves forward, especially on a large, perhaps world wide scale (although that would be quite a feat to accomplish), then it will necessitate true, physical “bilateral ecclesiology.” So-called “Messianic Gentiles (at least potentially) might end up forming their own congregations outside of Jewish community, the way these Noahides have done, and which I wrote about last January. I should say that my thoughts were turned to these topics as a result of a conversation I had with a friend of mine not long ago, who laments the thought of Messianic Jews integrating in Orthodox Jewish community, focusing (apparently) on Judaism rather than on Messiah. I don’t know if there’s a perfect answer for any of us. I suppose the first “community” we should be concerned about is our own family, and especially the marital unit. For the sake of peace, it’s probably best for that to be our only community, at least for some of us. @James — Apparently your lamenting friend views Judaism and Messiah as somehow at odds with each other, that he should express the notion of focusing on them as a dichotomy. But if a Jew is attempting to embrace a Jewish messiah, he or she *must* embrace Judaism as a prerequisite to embracing him. One cannot have one without the other. Obviously that has implications also for a gentile disciple’s embrace of such a messiah, which has been the pursuit of your blog for quite some time. I think the issue, from his point of view, is how the Talmud is considered authoritative, apparently at odds with the Torah (one of the reasons I wrote The Torah Without Judaism), and Messiah (since most to all of the Rabbinic Sages oppose(d) the revelation of Rav Yeshua as Messiah). I think, at least for me, it’s easier to grasp the linkage between a Jew, Jewish practice, and Messiah than it is to figure out how that’s supposed to be relevant for non-Jews with my rather unusual perspective. In relation to Jewish community, I suppose we could form something similar to Noahide communities or alternately maintain an individual relationship with Rav Yeshua outside a communal context. Imparting that perspective is no easy task. I tried with a certain Baptist Pastor for two years and got exactly nowhere. @James — Indeed, I understand. Of course the Jewish answer to the Talmud vs. Torah misperception is that those who do, fail to understand either one. In addition, those who fail to understand the difference between Rav Yeshua and “Jesus” also fail to recognize that the Talmud addresses the latter in some degree (and quite negatively), but not the former (who had been already kicked out of sight by Roman Imperial Christianity before Talmud began to be compiled). Hence, supposed rabbinic rejections are misinterpreted, because their object was something other than supposed. That’s kind of my point. All of the non-Jews associated with the Messianic movement in any capacity arrived here from Christianity, and even once associated with Messianic Judaism, the association you outlined in your most recent paragraph isn’t explained. There should be mandatory classes or something. My first response to the Posner-related link [*] is that I love what Russel Resnick wrote about Joseph and Benjamin and all Israel (and the Father — Amein)! My second response is that I’m glad Russ said he doesn’t follow Mike Bickle, nor publicly endorse candidates for U.S. [at least] horseraces — that’s not where we would want to hang our hat. Just found something at the Rosh Pina Project called Why some Messianic Jews are acting like posers and making themselves unhappy that very much applies to the content of this blog post and the resulting conversation.